Background Medicine shortages are an ongoing global problem. The Therapeutic Goods Administration (TGA) dedicated a website for monitoring of medicine shortages in Australia in May 2014, as part of the Medicine Shortage Information Initiative. 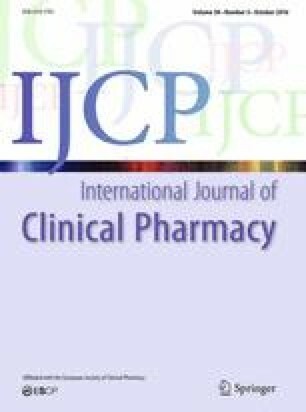 This study aimed to explore the views of pharmacists regarding medicine shortages in the community setting and the impact of the TGA website in Australia. Setting Community pharmacies in New South Wales, Australia. Method Twenty semi-structured interviews were conducted with community pharmacists. Data collected were analysed thematically utilising the framework analysis method. Main outcome measure Qualitative analysis conducted using the framework approach. Results Findings clearly indicated that medicine shortages were experienced on a regular basis, but most participants were unaware of the TGA website. Medicine shortages reportedly impacted both pharmacists and consumers; and various workarounds were undertaken to manage the issue. The “price disclosure policy” was found to be a prominent contributing factor in emerging shortages. Suggestions were made for ways to improve the growing occurrence of shortages. Conclusion Overall, the study found that there was a lack of familiarity with the TGA website, despite experiencing regular shortages of medicines in practice. Also highlighted, was the importance of pharmacists prioritising patient care over business decisions. To reduce prescribing of out-of-stock medicines notifying doctors about shortages was also considered important, to allow for early action to be taken at higher levels of the supply chain. Findings of this study may help direct future policy-making around the world, as medicine shortages is a problem shared by healthcare providers in most countries around the world. Reiteration of participation options (withdrawal etc. ), organise consent form signing and ask for permission to start audio recording. If participant is in a remote area and the interview is conducted via telephone: Particular care will be taken in acquiring the participant’s express consent [written consent already received prior to the interview] on the record in accordance with the relevant legislation [Telecommunications Act 1997 (CTH) and Listening Devices Act 1984 (NSW)] which prohibits recording of phone interviews without the express consent of all parties. Start interview and allow participant to speak without prompts. Use prompts only if the flow lulls somewhat. What are your general thoughts about medicine shortages? Do you experience medicine shortages in your practice? How often do shortages occur in your practice? What do you know about the causes of medicine shortages? What are the implications and effect on practice of medicine shortages? Do you ever use the TGA website dedicated for notification of shortages? When would this be needed? Do you often refer to this website? Is the information on the website accurate? Is there sufficient information on the website for your purposes? Do you find the TGA medicines shortages website helpful? In what way is it helpful/unhelpful? Can you provide some examples? What do you believe could be done to improve or enhance the website? If you do not believe it is a good intervention, what suggestions do you have about the issue of shortages and what can be done? Thank the participant and ask if they wish for feedback in the form of a summary of findings. US Food and Drug Administration. [Internet]. Current drug shortages; 2015. [Cited 26 Oct 2015]. http://www.accessdata.fda.gov/scripts/drugshortages/default.cfm. American Society of Health-System Pharmacists. [Internet]. Drug Shortages: Current Shortages; 2015. [Cited 2015 Oct 26]. http://www.ashp.org/menu/DrugShortages/CurrentShortages. Australian Government. [Internet]. Department of Health Therapeutic Goods Administration; 2015. [Cited 2015 Oct 26]. http://www.tga.gov.au/hp/MSI/search/. Australian Institute of Health and Welfare. [Internet]. Admitted patient care 2013–2014: Australian hospital statistics; 2015. [Cited 2015 Oct 26]. http://www.aihw.gov.au/publication-detail/?id=60129550483. The Pharmacy Guild of Australia. [Internet]. Serving Australians: a system of community pharmacy; 2012. [Cited 2015 Oct 26]. http://www.guild.org.au/docs/default-source/public-documents/issues-and-resources/Fact-Sheets/serving-australians-a-system-of-communtiy-pharmacy.pdf?sfvrsn=0. American Society of Health-System Pharmacists. [Internet]. current shortages: chloroquine tablets; 2015. [Cited 2015 Oct 26]. http://www.ashp.org/menu/DrugShortages/CurrentShortages/Bulletin.aspx?id=1178. US Food and Drug Administration. [Internet]. Current drug shortages: chloroquine phosphate tablets; 2015. [Cited 2015 Oct 31]. http://www.accessdata.fda.gov/scripts/drugshortages/dsp_ActiveIngredientDetails.cfm?AI=Chloroquine Phosphate Tablets&st = c&tab = tabs-1.